Care2 Healthy Living | What Advice Would You Offer Someone Adopting a Senior Dog? What Advice Would You Offer Someone Adopting a Senior Dog? Those of us who have been fortunate enough to share our hearts and homes with a senior dog know just how special those gray-muzzled darlings can be. Earning the love of an aging pup who truly needs you creates a special bond that’s hard to put into words. True, they may have some age-related health issues (like arthritis, dental disease or failing vision or hearing) that require attention or treatment. But older dogs have lots of pros, too, like the fact that they’re likely to be better trained than a puppy and they’re probably game to lounge around with you and take it easy. And when it comes to adopting a senior dog, you have the benefit of knowing what you’re getting in terms of size and in most cases, personality. Our readers recently shared some great tips for people getting their first dog or cat — and in fact, we know that many of you have opened your homes to adult dogs. So when we wanted to offer tips to people looking to welcome an older canine into the family, we turned to our Vetstreet Facebook followers and asked: What’s the one piece of advice you’d give someone adopting a senior dog? And, as we suspected, our readers came through with some excellent — and touching — words of wisdom. 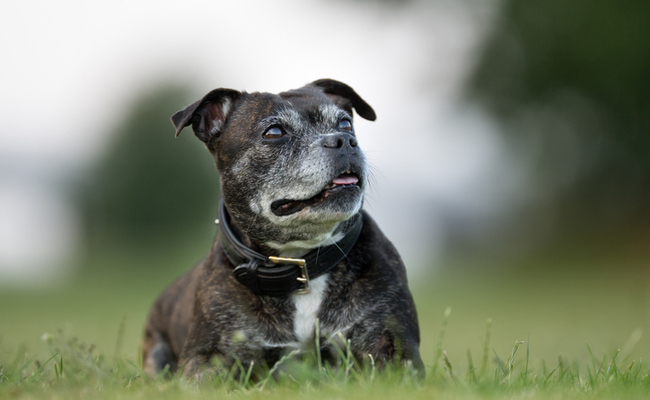 Of course, it’s important to remember that taking on a dog during his golden years can be a big responsibility, and potential owners should be ready for that. “…[R]emember they may have expensive medical bill[s]; be prepared to give them the medical care they will need,” said Priscilla Leuliette. If you’re considering bringing a senior dog into your home, there are numerous things you can do to help him enjoy his senior years. You might take steps to pet-proof your home in a way that makes it easier for him to get around. And believe it or not, teaching your old dog new tricks isn’t only possible, it’s a great way to help your new-old pup stay mentally and physically sharp! Getting him to the vet for regular exams and keeping an eye out for any physical or behavioral changes is important for dogs of all ages, but becomes perhaps even more important as he ages. Care2 readers, what advice do you have for people adopting senior dogs? Tell us below in the comments. Can You Tell These Lookalike Dog Breeds Apart? Many kind people adopt older dogs. At one stage I used to walk past our local SPCA. There was a very handsome dog that they couldn't place in a home for over two years at that time. It wasn't even an old dog. Good advice given in the article and with the comments. A couple of ours (and friends) 16 & 17 yr old dogs went for walks every day as usual... All the excitement of getting the leash and harness on, out the door, through the front gate, and perhaps just past the neighbours driveway, and then they were ready to go home. Yet, we all had our jokes about it, but continued the routine for them. I must admit the oldest dog we homed was 5 to 6 years old. The oldest horse was 17 years. Lady lived another 6 years and the horse Max, 33 years and 7 months. Both were loved to the moon and back. The money costings (although very real) never equated to love them any less or feel burdened by them in our lives. I mean sure, you want to make things easier for them and keeping up with all the potential health issue can be tough, however keeping older dogs / pets a little active can go a long ways to keeping them healthy and happy. My dog trainer told me it doesn't have to be a crazy amount of activity but just enough so they are not just laying around all day. Even if its just following you around the house. They want you to love them just like all animals do.